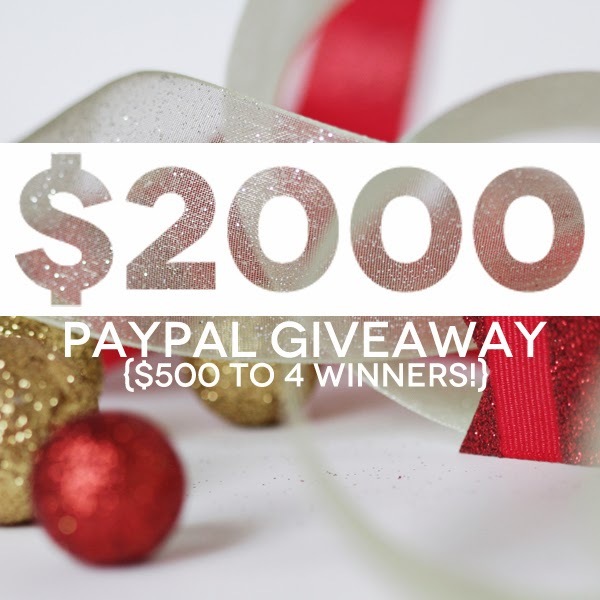 Who wants to win some holiday cash? We’ve partnered up with CupcakeMag, Bip & Bop, Lisa Leonard Designs, Caroline G Shop, Coconut Robot, The Printed Palette, Bloomies Handmade, Baby Jives, House of Rose, Shelley Bee Originals, Sly Fox Threads, Loved by Hannah and Eli, Better Life Bags, Jessica N Designs, Kiki La’Rue, She Does Justice, The Chic Orchid, The Busy Budgeting Mama and the Carly Megan Shop to give FOUR Instagram followers $500 paypal money for the holidays!! Head over to get the scoop from @carolinegshop or @cupcakemag on IG and enter to win now.